Description: The quickest way to create fishbone diagram is to start from a free customizable template. Here is a perfect one provided for instant download and print. 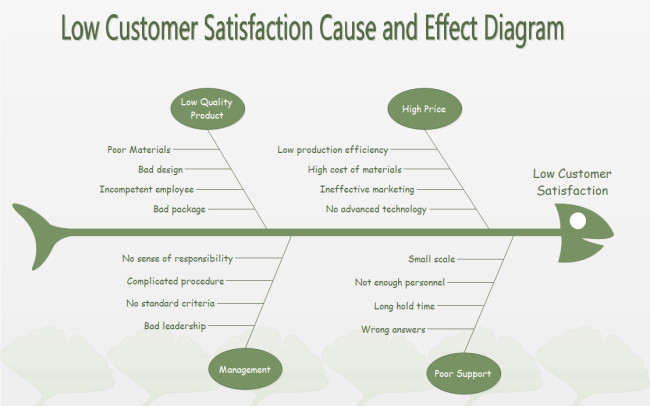 This amazing diagram is a simple fishbone diagram example about low customer satisfaction. Created by Edraw Max, which is available in different formats.